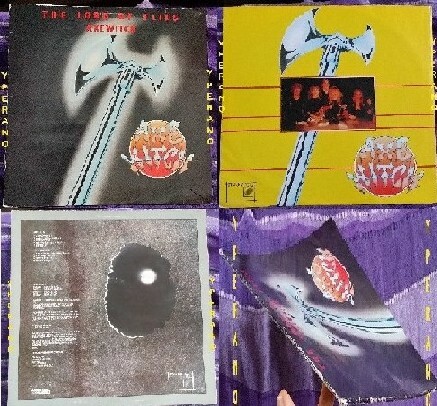 Home / Search by Media Type / 12 " / AXE WITCH: The Lord of Flies LP 1983. Rare w. inner. 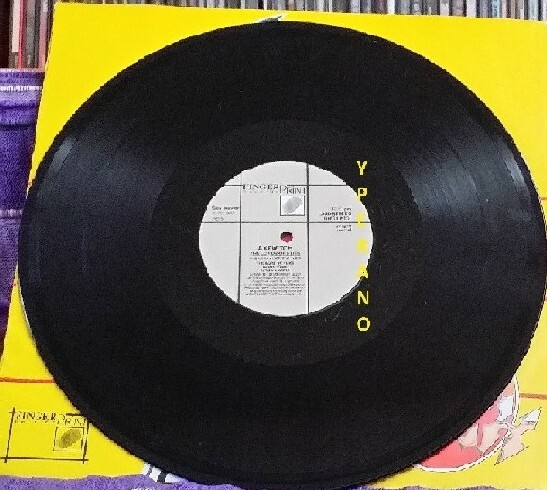 Vinyl in Mint condition. 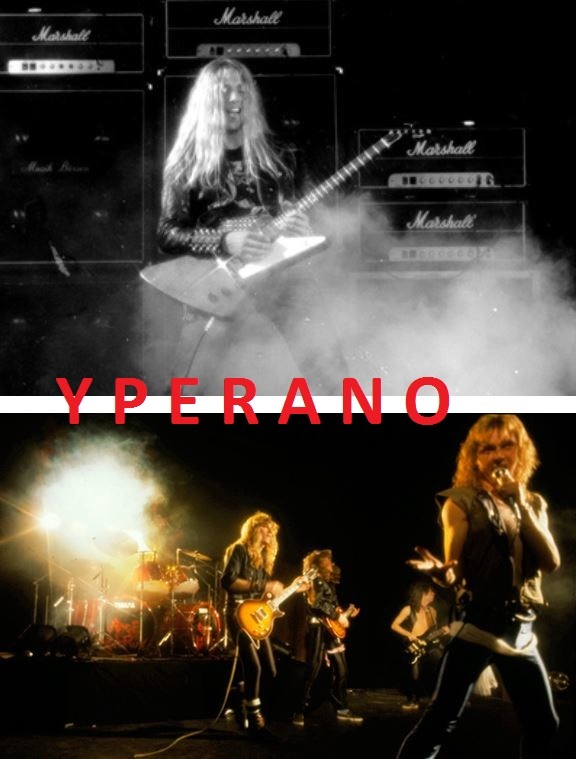 Top Swedish Heavy Metal. 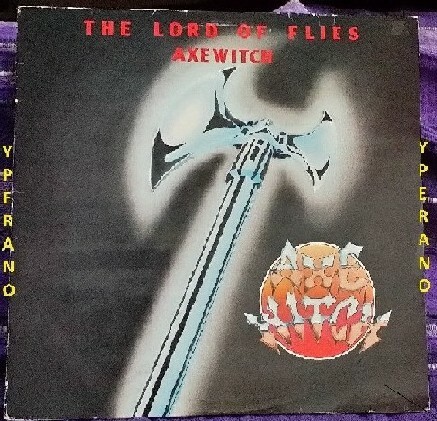 AXE WITCH: The Lord of Flies LP 1983. Rare w. inner. Vinyl in Mint condition. Top Swedish Heavy Metal. Axewitch is a Swedish heavy metal band formed around 1981 in Linköping. 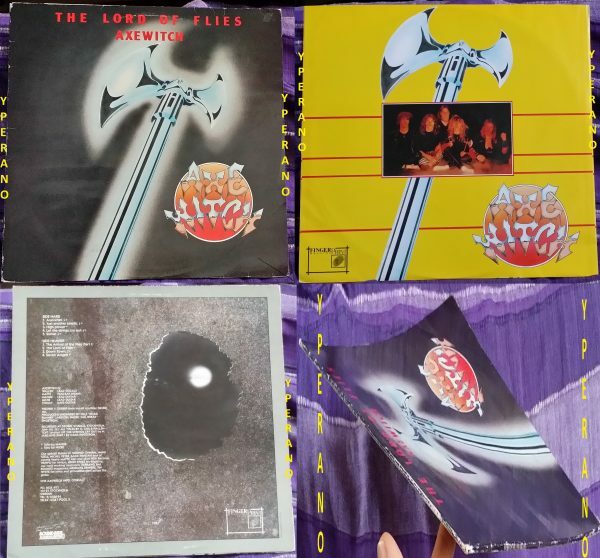 AXEWITCH ( Sweden ) The Lord Of Flies Lp – Sinner. 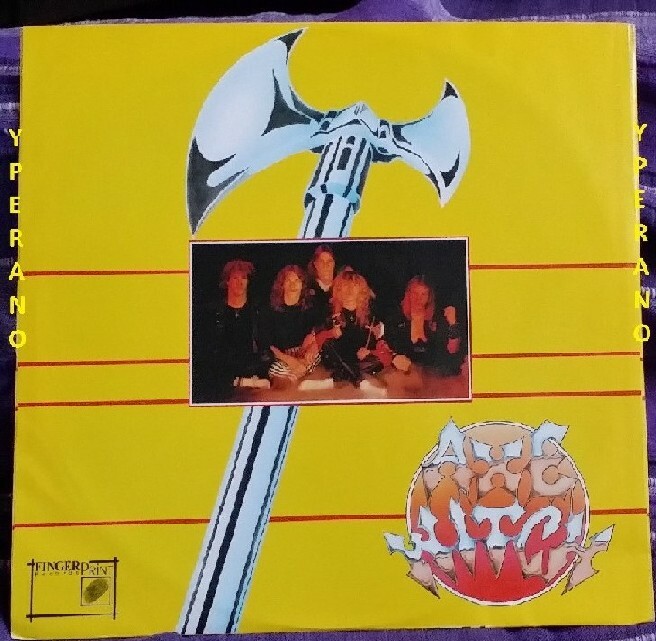 Shortly after independently releasing their ’82 debut, the ep Pray for Metal, Axewitch were picked up by Web Records’ newly-hatched subsidiary Fingerprint Records and in ’83 released this full-lengther, The Lord of Flies, which is possibly the label’s first imprint as well. The lp landed at #7 on the Swedish rock charts, a landing to be maintained while touring with brother Swedes Torch and Silver Mountain. With an unmolested line-up since the ep, here the quintet command a larger swarm of songs, raised on the naturally-made nectar of traditional songcraft that takes off with more life and confidence, and some of that is due to its’ solid Decibel Studios (Heavy Load, Y. Malmsteen) launching pad and its change in producer(s). While one shouldn’t expect to sniff fumes from the invigorative cutting edge flight path where Warlord, Legend (UK), and, most obviously, Iron Maiden burn jet fuel, traditionalists should delight in the band’s simple ear for catchiness and almost understated execution that tends to be as warm, easygoing, and even sociable as old acquaintances chatting early in the night around an open fire. The better stories are those singed by the flame. 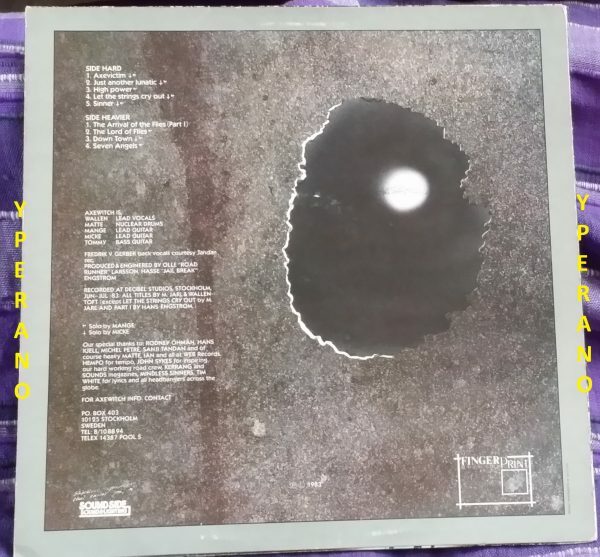 “Sinner”, the closing lid on side one, with its beguiling menace and gradually arduous upsurge, leaps closest to metal’s smokier trail overhead, meanwhile some “Mr. 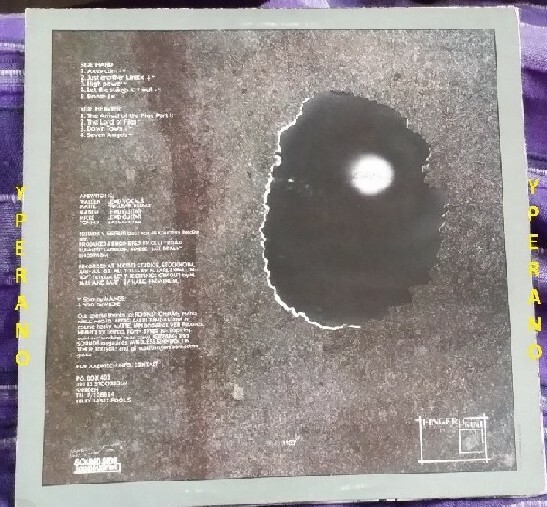 Crowley”-tainted keyboards mist up side two’s doorway where “The Arrival of the Flies (Part 1)” is smartly parted by the title cut’s hot, convincingly mid-paced steam. Partially burned by lightly dour drama is the chorus of “Just Another Lunatic”, making way for the proud one in “High Power” that has me recalling the few squirts of airtime it received back in the day. It’s hotfooters like these that have the lp taking two steps at a time up the stairs. Recommended to all lovers of pure ’80s Metal. I was pretty stoked with this. “Visions Of The Past” is such an excellent record that I couldn’t wait to get this one on the wheels of steel to see how it stacks up. Thankfully AXE WITCH do not disappoint! “The Lord Of Flies” is full of the same fantastic Euro Metal that made “Visions Of The Past” such a stand out. This record is a bit more rockin’ than “Visions Of The Past” (and that can only be a good thing! ), yet the ACCEPT and TYGERS OF PAN TANG influences still comes through loud and clear. Vocalist Anders Wallentoft is top notch and unmistakeably distinct, and its his voice that raises AXE WITCH above the run-of-the-mill Metal pack. Totally solid record all the way through, but the last track “Seven Angels” is a haunting stand-out, and a great finish. In July 1983 AXEWITCH entered the legendary Decibel studios in Stockholm (Heavy Load, Yngwie Malmsteen) to record their debut album The Lord Of Flies with Torch producer Olle Larsson overseeing the proceedings from the mixing desk. 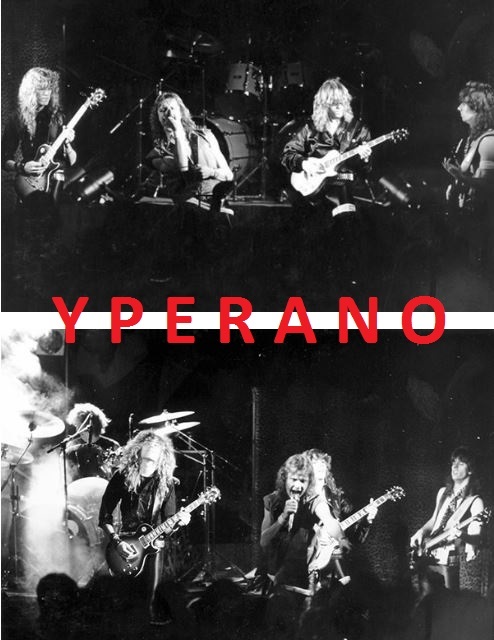 The LP gained great reviews and sold very well on home turf, crashing the Swedish charts with an impressive number seven. In December of the same year AXEWITCH played their début (the very first of its kind) Swedish heavy metal tour all around the country, combined with two other domestic hopefuls, Torch and Silver mountain. Despite bordering on the brinks of financial disaster at the times, the tour turned out to be a successful promotional endeavour and was well received by both audiences and press – a highlight in terms of media coverage was without any doubt an extensive tour report by OKEJ magazine, Swedens biggest music publication in the early 1980s. Plans were then set afoot for the trek to set sail for Germany and southern Europe as well, but the bands utter disappointment lack of monetary funding prevented this idea from ever becoming a reality. On a more positive note, “The Lord of Flies”garnered licensing interest from abroad and was eventually released by Megaton records and Discotto respectively. 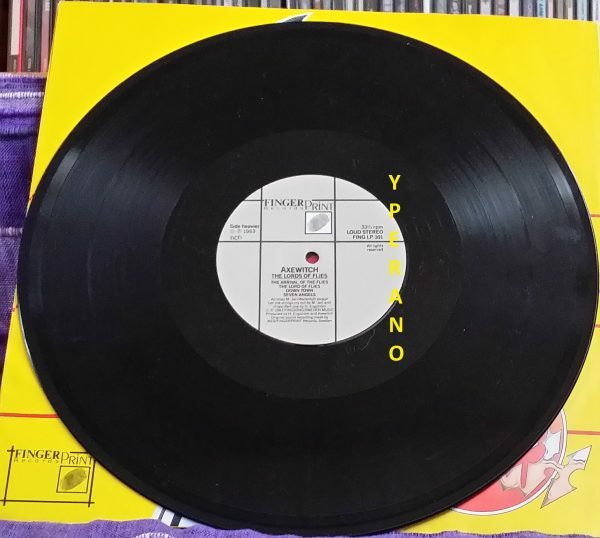 SKU: YP-5050 Categories: All Genres, Epic Metal, Heavy Metal, Search by Media Type, 12 "